First flight of the Saab 32 Lansen. The Saab 32 Lansen (English: Lance) was a two-seat, transonic military aircraft designed and manufactured by SAAB from 1955 to 1960 for the Swedish Air Force (Flygvapnet). Three principal variants of the Lansen were built for attack (A 32A), fighter (J 32B), and reconnaissance (S 32C). 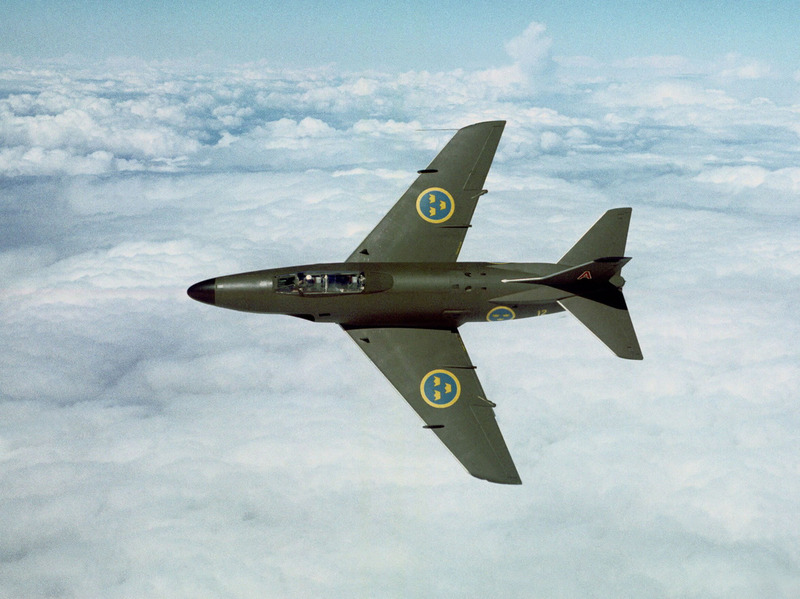 During its long operational life, the Saab 32 also served as an electronic warfare platform and target-tug aircraft.